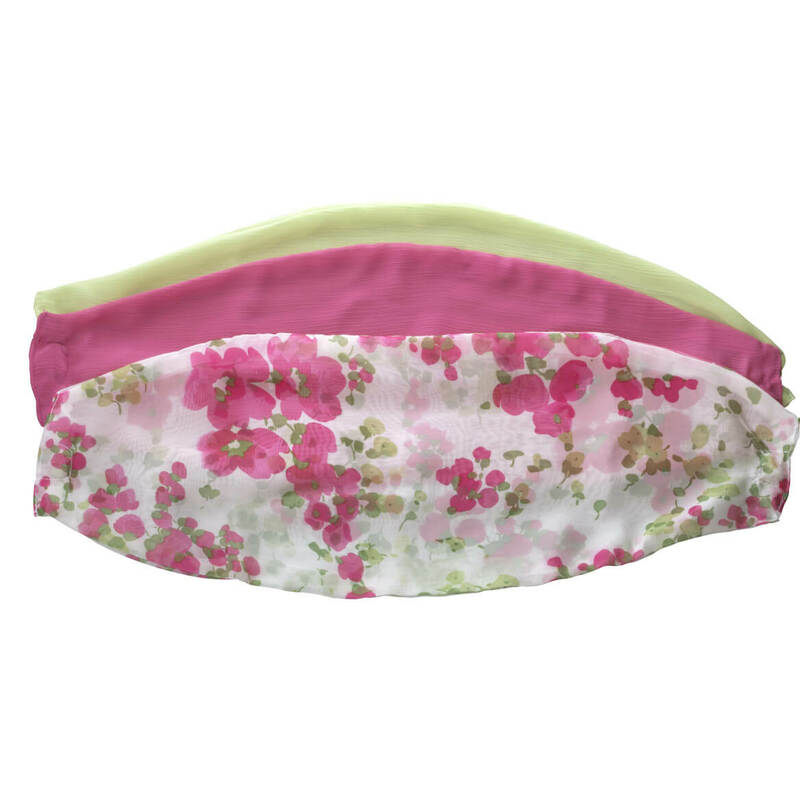 Fuss-free fashion pink floral neck cowls from Miles Kimball adjust in seconds with magnetic ends—adding soft, spring style to any outfit! Set of 3. 19 1/2″L. Polyester chiffon; imported. Cuddly-soft reversible hooded scarf will keep your neck and head warm on even the coldest days. 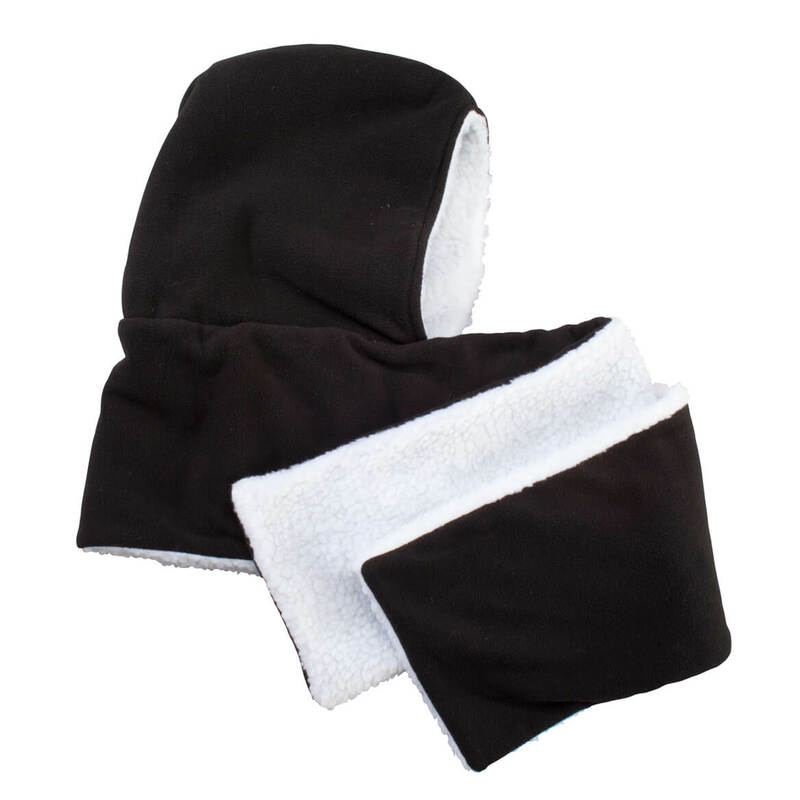 Chill-chasing 2-in-1 scarf with hood is not only super soft and cozy; its reversible design allows you to choose from 2 great looks and textures: black knit or white sherpa fleece. Generously sized at 62” long x 7 1/2” wide, this reversible scarf is sure to be your favorite cool-weather essential. Polyester. Machine wash cold; tumble dry. 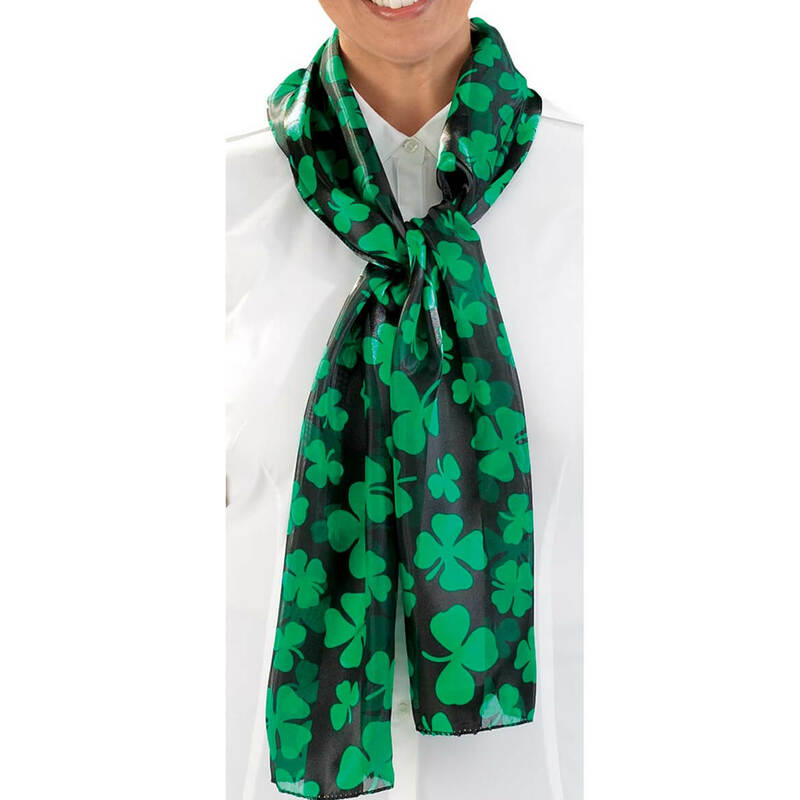 Spirited shamrocks adorn this silky shamrock scarf, lending a touch of Irish charm to anything you wear! Assorted background colors (black or white); we’ll choose for you. 100% polyester drapes beautifully; hand wash. 59″ long x 9 1/2″ wide. Imported. Say bye to the stuffy necktie and be the life of your next party! 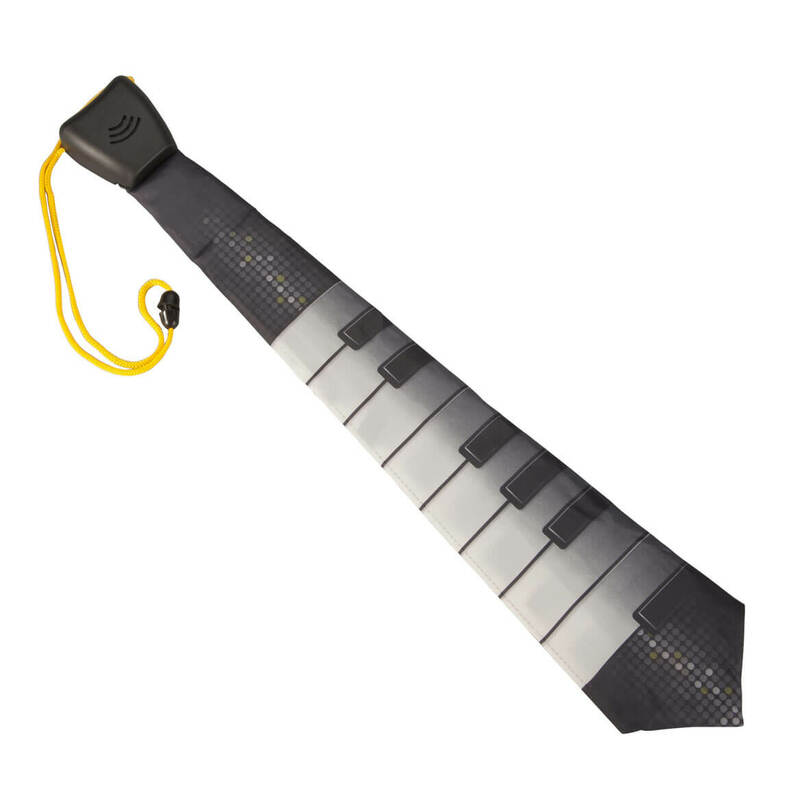 Musical keyboard necktie’s touch-sensitive ivory keys each play a different note when tapped! Polypropylene “knot” features a built-in speaker and 16″ long adjustable cord for an easy fit. 18 1/4″ long x 3 1/2″ wide polyester music tie features an on/off switch on the back. Instructions included. Piano tie requires 2 button cell batteries (included). 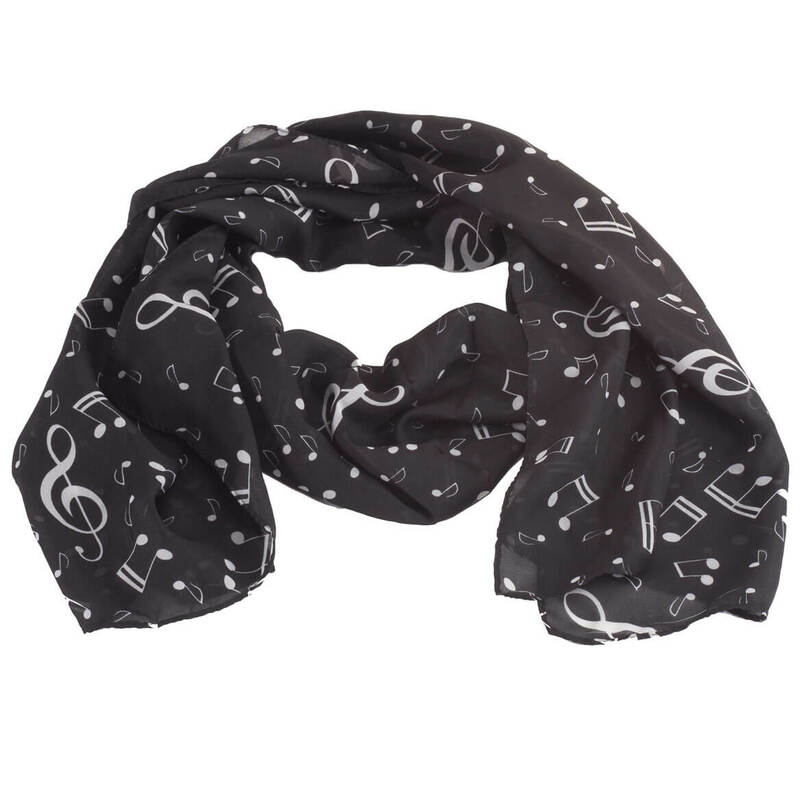 Go out on a fashionable note with this breezy Musical Notes scarf. Perfect for any music lover or teacher, its lightweight fabric is a beautiful harmony of ivory musical notes against an ebony background. With its generous 63” long x 17” wide size, you can wrap this women’s scarf more than once, tie it, or wear it loose and flowing. 100% chiffon scarf is ideal for any season. Hand wash; air dry. Update your wardrobe with fashion cowls that adjust effortlessly, thanks to magnetic ends! 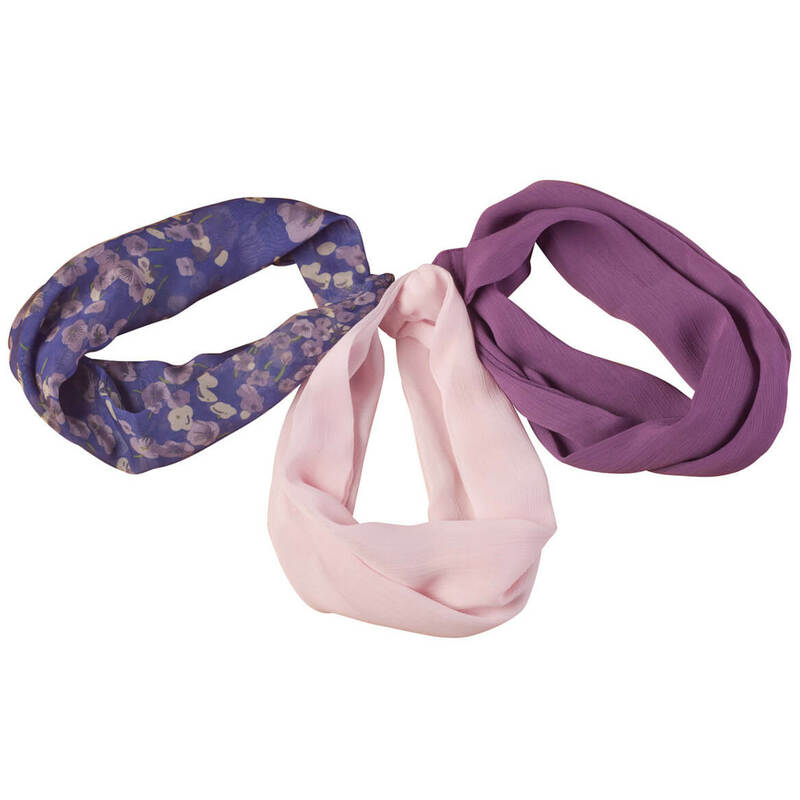 Adding a pop of color, set of 3 includes pansy print, purple, pink. 100% polyester; hand wash. 19 1/2″ long. Imported. Sheer Christmas Bulbs scarf adds Yuletide style without extra weight or warmth. 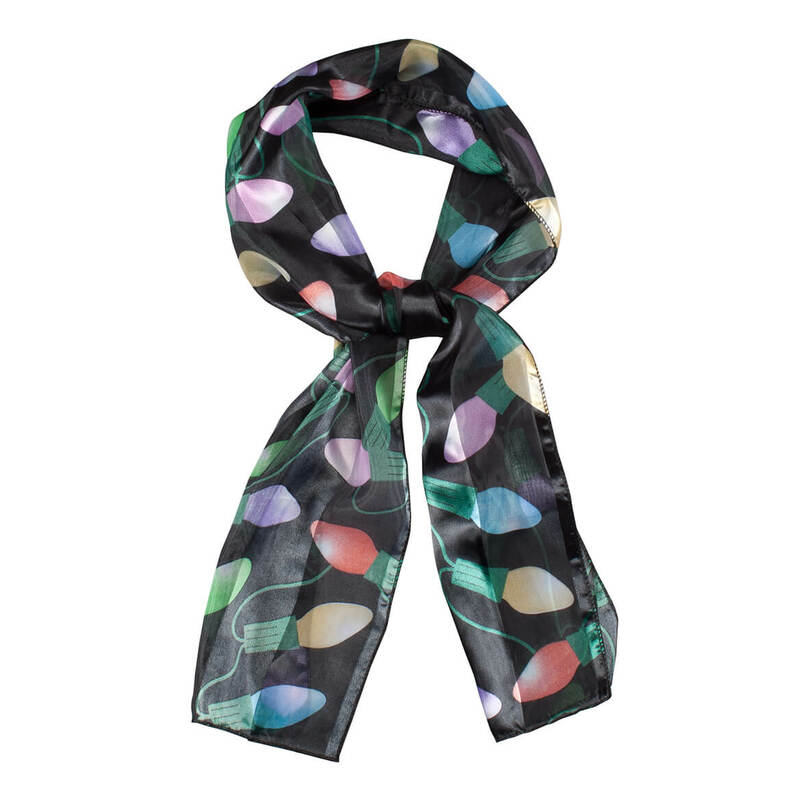 Perfect for holiday parties, Black Friday shopping or any festive occasion, this lightweight scarf features colorful retro Christmas tree bulbs contrasted against a black background. Christmas scarf measures 57″ long x 9″ wide. Polyester. Hand wash.
Update any look with the luxury of faux fur in our easy-to-wear (easy to LOVE) faux fur infinity scarf! Adding instant style to a casual T-shirt, little black dress or your favorite winter coat, the plush faux fur is wonderfully soft to the touch, offering warmth and elegance in three classic colors. 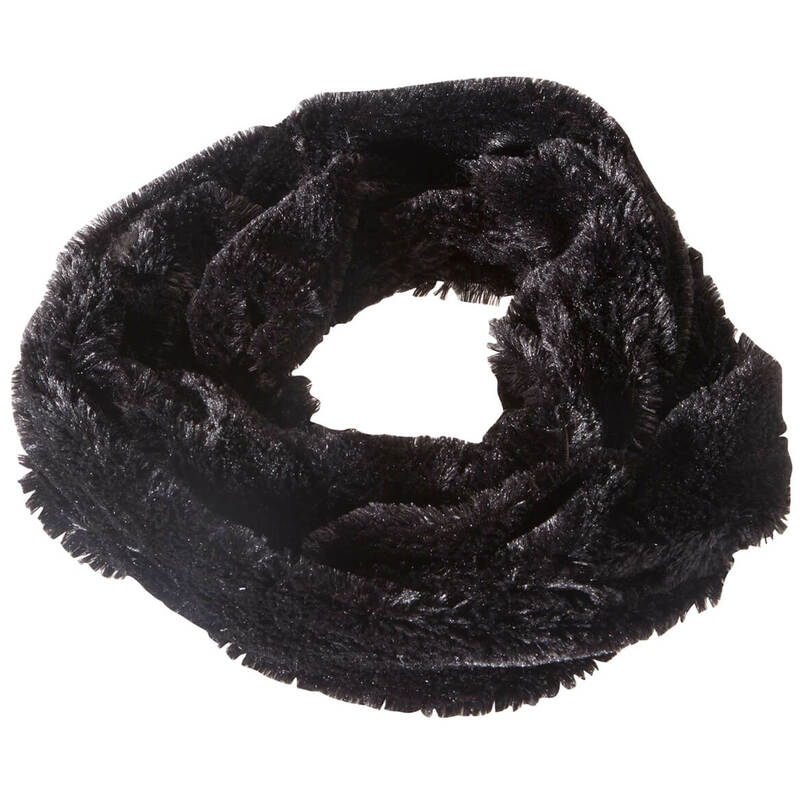 The versatile faux fur scarf can be worn looped around your neck or worn over your head and neck for cozy coverage. 5″ wide x 68″ dia. 100% polyester; hand wash, dry flat. Imported. 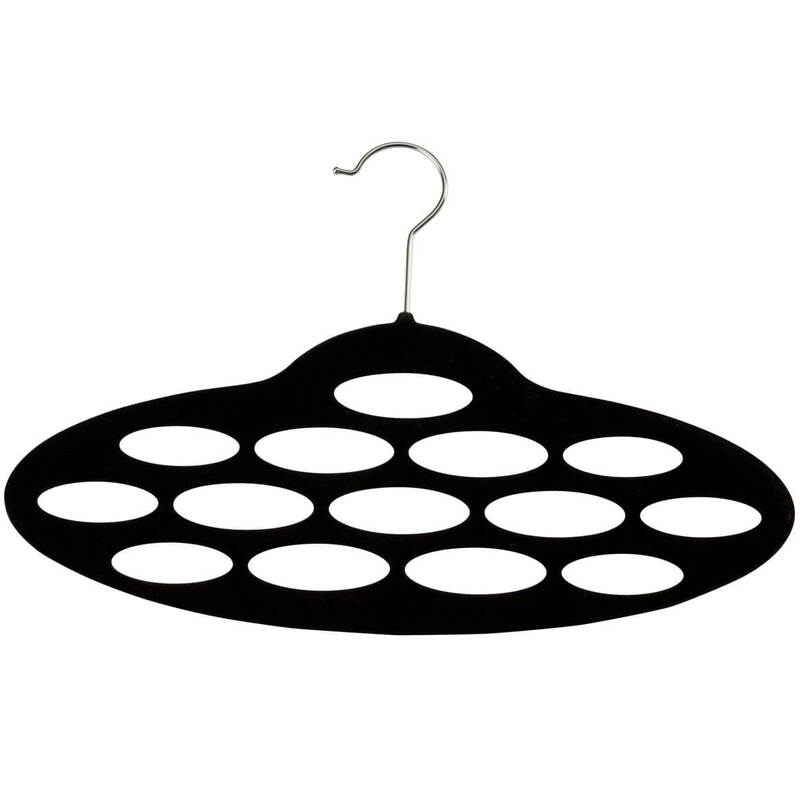 With 14 hanging slots, this slim, space-saving hanger keeps scarves and ties organized and displayed—hung right over closet rod for easy access. Flocked surface prevents scarves from falling. Nylon, metal. 14″ long x 6″ high. Shimmering red chiffon sets a festive background for this elegant holly print scarf … subtle organza stripes and gold lurex add a touch of glamour! 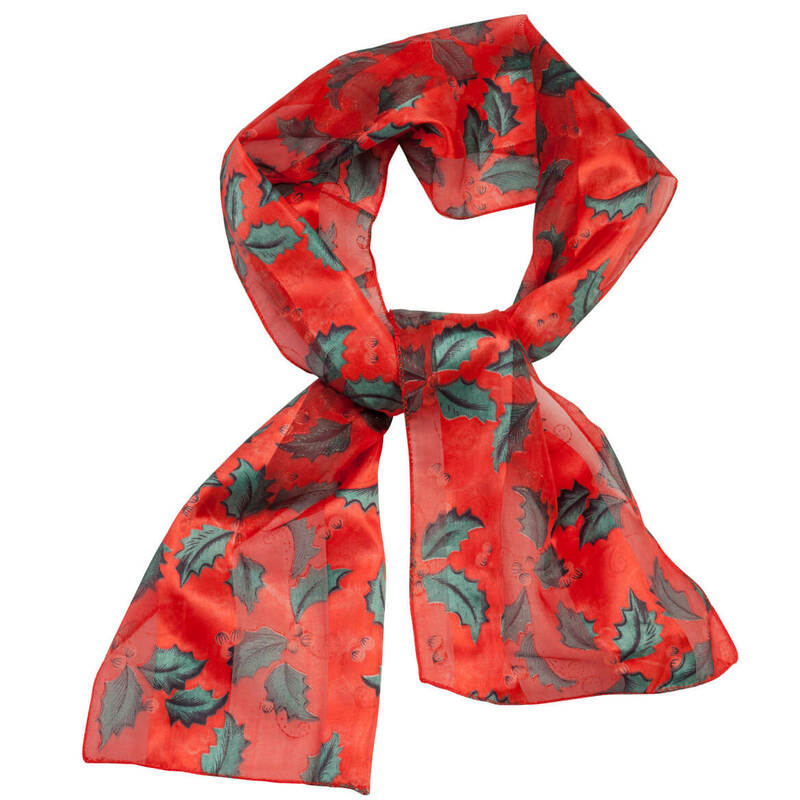 Our lightweight, easy-draping holly scarf adds instant holiday style to any outfit. 100% polyester; hand wash. Christmas scarf is 56″ long x 8 3/4″ wide. Imported.